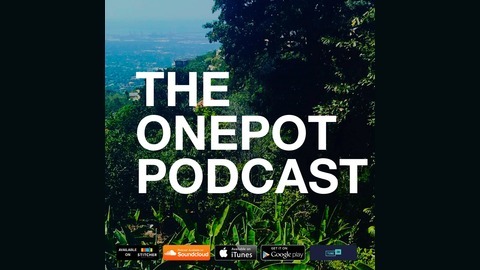 The OnePot Podcast is a window into our world. We’re 4 black men working in corporate America with a strong West Indie culture. Though we are all friends we often don’t share the same opinion and this show is a reminder that black comes in all shades and forms. 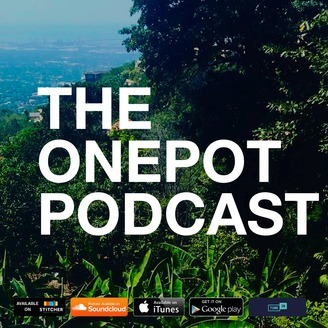 Tune in to the One Pot Podcast every week as we discuss things we all talk about on the regular. Everything from relationships, business, culture, current events and politics is up for discussion. This show is not about us! This platform opens up a dialog that our listeners can contribute to. Contact us and let us know what’s on your mind. Big ups to all the West Indians / African Afro-Caribbean out there! Jamaica! Trinidad & Tobago! St. Kitts & Nevis! Haiti! Dominican Republic! Dominica! Barbados! Antigua & Barbuda! Puerto Rico! Saint Lucia! Grenada! Cuba! Bahamas! Belize! Episode 43 | "The Marathon Continues"
In this week's episode we discuss the process of moving forward in life, the ascension of Nipsey Hussle, and the disrespectful actions of Kodak Black. We are now on Apple, Google Music, Stitcher, iheartradio and TuneIn so make sure you subscribe, rate and review our podcast on iTunes. Episode 42 | "Nipsey Hussle"
Episode 41 | "Break Up"
Episode 40 | "What's your GDP"
Episode 39 | "Rules of Engagement"